IMAGE firmly believes in maintaining a healthy skin diet that involves a synergistic marriage between home care and professional care. For the most clarified, bright and revitalised complexion possible, the two absolutely go together. Whether you prefer an esthetician or dermatologist, a professional touch does wonders for your skin. Home care is essential in providing ingredients that will provide correction, prevention and nutrition to your skin daily, while a professional care routine helps hone in on repairing and renewal. Think about it this way: stretching and massaging yourself at home (or even asking a friend to do it) can help alleviate some tension, but there’s nothing like a session with a massage therapist who can rub out those knots and thoroughly soothe your muscles back toward homeostasis. Your body feels at ease, and it’s at a better starting point to heal. IMAGE professionals work with our high-performance ingredients available in higher-strength, higher-active levels to give your skin a thorough, deep cleansing and rejuvenation. Your skin gets a thorough “reboot,” which makes the results a lot more long lasting, noticeable and sustainable. Our facials and collection of peels provide options ranging from organic enzymatic peels to advanced solutions that will provide correction to the skin. These treatments are only available from a licensed skincare professional. On top of that, seeing a professional regularly helps you seamlessly adjust your skincare to your skin’s changing needs. You might have your favourites, but depending on a multitude of factors—a change in geography, hormones or a new condition like hyperpigmentation or acne—your IMAGE expert is your best skin ally, taking all the guesswork out of adjusting your skincare routine. Chemical Peels: Our signature chemical peels help to reverse the visible effects of damage in two ways. First, they power away dull, dead cells to illuminate the skin and reduce the appearance of fine lines, wrinkles, age spots, clogged pores and blemishes. Then, they support collagen for firmer-looking skin over time. 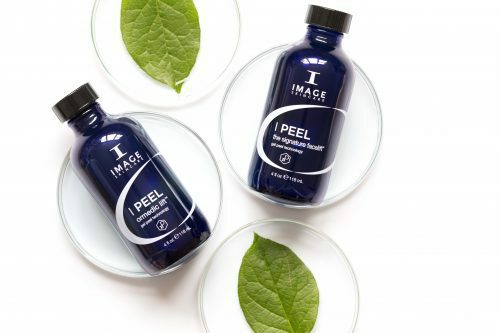 Enzyme Peels: Enzymatic peels utilise gently exfoliating fruit-based enzymes to dissolve dead skin cells, support skin cell renewal and soften skin texture with minimal irritation. 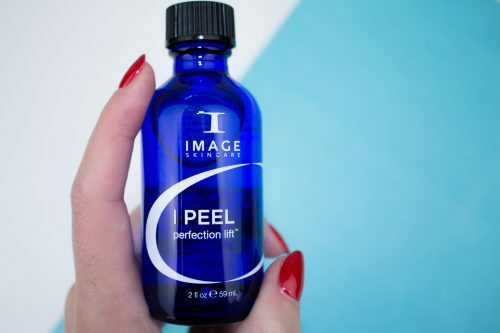 Perfect for all skin types, especially dry or sensitive skin, our professional enzyme peels deliver powerful skin rejuvenation and visible results in just one treatment. Oxygenating Peels: Oxygen offers numerous benefits for a healthy, radiant complexion: It helps bring clarity to troubled skin, purifies clogged pores, supports collagen production and brightens dullness. The oxygenating O2 Lift peel delivers an instant, visible boost to invigorate the skin and give it a gorgeous glow. Ready to get your skin to its peak health? Visit IMAGE Skincare in the Salon & Spa Owners’ club and stand F32 to find out on our professional range of treatments and products – at IMAGE Skincare, no skin is left behind!